This weekend I decided to set up a new chem vat and test my skills at bringing a hydros vat back to life after it had been left to oxygenate and turn cold. It was actually quite successful! I tested on 3 different fabrics and got quite similar colours across all 3 which was interesting, although the silk blend did come out slightly darker than the cotton and the linen. I wont detail all the timing here, but the first 2 dips were both 10 mins each and then after that I moved into shorter dips. I had approx 4 – 8 minutes oxidisation between dips, where I kind of waved my swatches about to make sure each piece was aerated. While researching Indigo online, trying to find more info about hydros vat set up etc, (I couldn’t find much at all!) 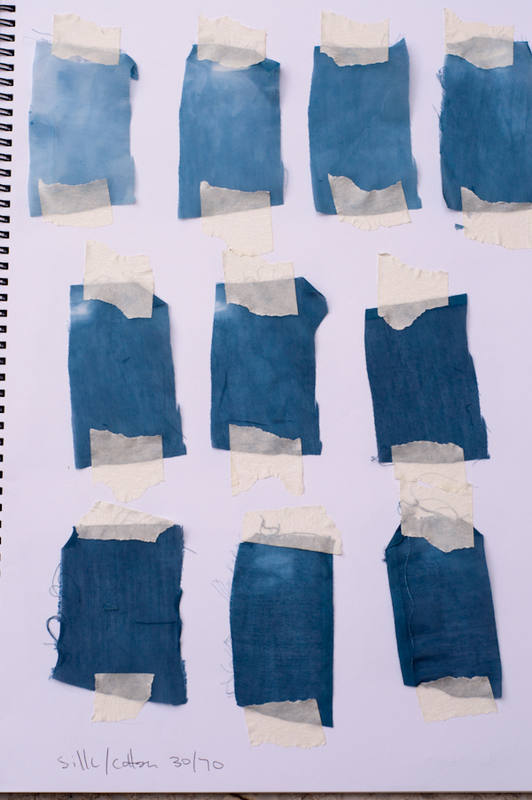 I did stumble across a really wonderful natural dye blog called tinctory. So many beautiful images, so much beautiful dye work, and the jewellery created from it, just stunning. 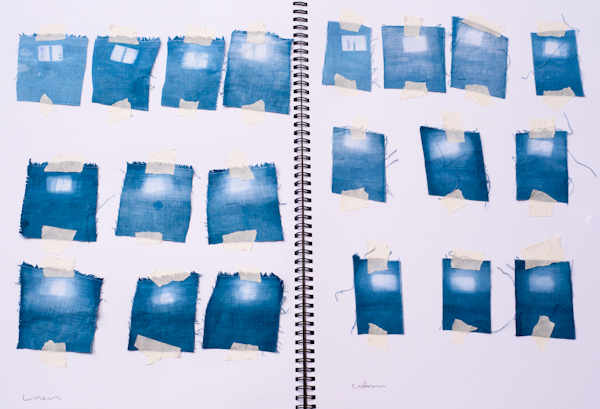 I’ve been so inspired that I’ve ordered some natural dye books, and am trying to hunt down some Japanese Indigo seeds and a few other dye plant seeds to plant my own dye garden. In the meantime I intend to try some dyeing with scavenged natural dyes, like grass, eucalyptus, and berries. Wish me luck! !